Pizza for breakfast? Yes, please! 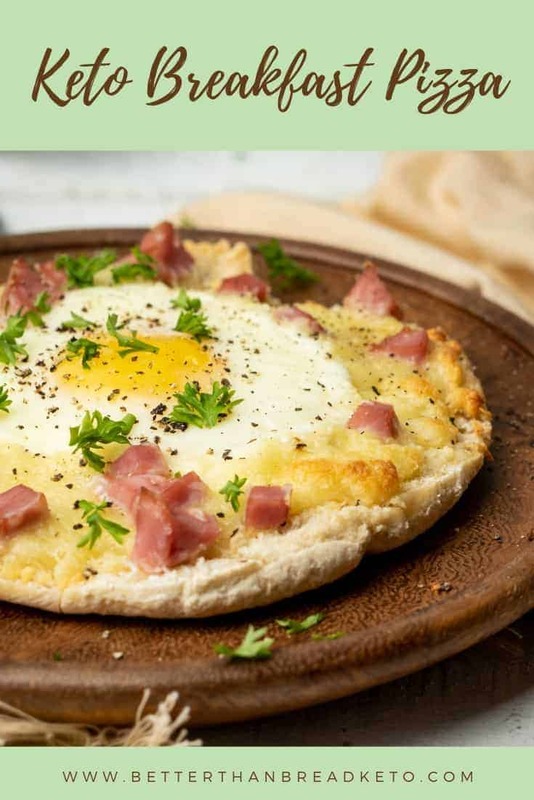 This awesome keto breakfast pizza doesn’t take long to make but is packed with awesome flavors and ingredients! Crack eggs and place, creating four equal parts of the crust covered in egg; leave sunny side up! I just clicked over to see your crust recipe, and now I’m confused about the nutrition. Your crust (alone) says it serves two, and is 340 calories and 3 carbs. 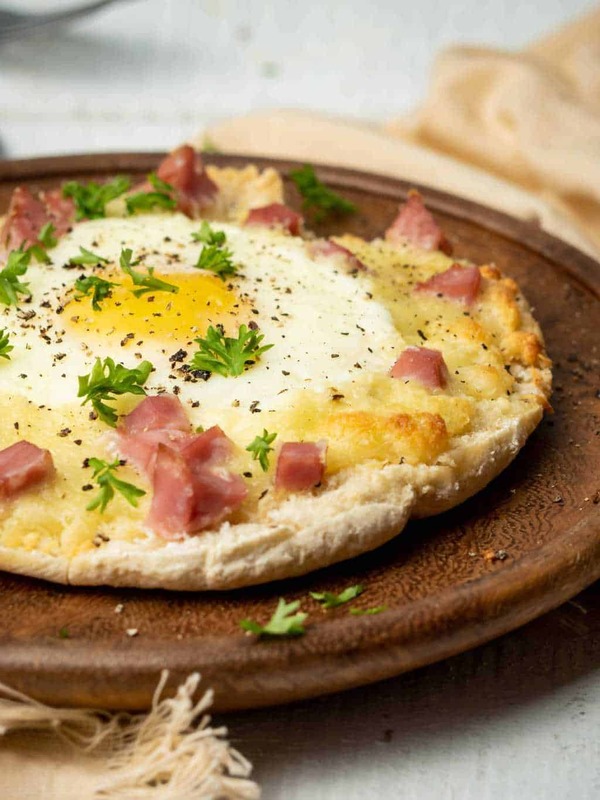 This finished dish uses that crust, adding the ham, cheese, and eggs. And the nutrition panel here says for two servings the recipe is 328 calories and 3 carbs. How can this be possible? Did you forget to add in the nutrition for the crust? what temp do I cook this at? Cook this pizza on 350˚. We’ve added it to the recipe… Not sure how we missed adding that in.